Are you looking for long distance relationship songs? General opinion of long distance relationships exists on a spectrum. That wide spectrum extends from totally doable to absolutely impossible. The only real consensus is that the situation is less than ideal. Perhaps that is why it makes some of the best music. For better or worse, the best songs often come from the worst feelings. Songs about long distance relationships have a way of resonating with anyone, whether they have been in the situation or not. The best of them can make you feel as though you have. While they aren’t all entirely doom and gloom, if there isn’t some kind of longing for a significant other, there are probably other problems with that relationship that might need addressing. Long distance relationships are far from rare. Some of the most popular songs ever written are about being apart from a lover. With that in mind I’ve compiled (in no particular order) a totally biased concoction of some of the best/most popular songs based on my particular tastes. I’ve tried to fairly represent several genres so if your favorite isn’t on here it’s only because the selection pool is extremely deep. 3 Doors Down – When I’m Gone: As is often the case I’m going to begin this list with an honorable mention that may or may not strictly fit the definition of a long distance relationship song. This is more like an about to be long distance relationship song. It could be argued that the song is addressing long distance relationships; however since 3 Doors Down has a song that muses on the situation outright it doesn’t seem fair to include this line walker full stop. Now that is nice and clear(ish); why this song deserves honorable mention. This is one of the songs most commonly associated with military personnel on active duty. #1. Wyclef Jean – Gone Till November: Starting off my list proper is another song closely associated with death or possibly going to jail. Gone Till November and When I’m Gone are really two sides of the same coin. The difference is that while leaving a loved one for military service is more often considered a noble endeavor; going on drug runs has a less favorable reputation in many circles. The intro explains how the song is meant to be a will of sorts, explaining to the loved one of a fallen drug dealer the circumstances and mentality that lead to his life choices and ultimately to his demise or incarceration. #2. Bill Withers – Ain’t No Sunshine: This is an ostensibly obvious one as it has been covered dozens of times and its agonizing lyrics, while perhaps not a part of American nomenclature, are popular enough to be recognized by pretty much anyone born before 1995. But the lyrics may hold an even deeper and more soul-crushing meaning than just the surface physical distance. In an interview Bill Withers mention that his inspiration for the song came while he was watching a movie featuring a couple dealing with substance abuse. So when Withers says gone, he may not be talking about physical absence, but having to endure someone you love willfully becoming a person you don’t recognize. #3. Puddle of Mudd – Blurry: Not all long distances relationships are romantic. It could be argued that the separation of a parent and their young child is all the more painful. Though wrapped in a break-up song, Blurry is unmistakably about the longing a father has for his son now being raised far away from him. The song masterfully osculates between vitriol for the mother, desperate longing for the child, and a sense of regret and self-pity. #4. Vanessa Carlton – A Thousand Miles: I didn’t want to put this on the list because it’s a bit obvious for my tastes, but then I read the title and the list again realized that that’s the whole point. I have nothing against the song, though it is the first on the list that I didn’t remember particularly fondly. Upon revisiting it I found that lack of enthusiasm to be unwarranted. It is a solid (if a bit saccharine) song. But I was given pause yet again by the fact the love in the song seems possibly unrequited and if so borderline stalkerish. But the song was just too big to ignore. Perhaps more famous for its opening piano melody than for the lyrics; this song was unavoidable for years. I researched the song to assuage my doubts and found that its meaning fits firmly into the parameters of this list. #5. Alabama Shakes – Sound & Color: Okay, so it’s well documented thus far that I’m a dirty cheater when it comes to these lists. This song is fairly new, limiting the number of people who have actually heard it and it doesn’t explicitly mention any long distance relationship per se; but hear me out. The song was featured in the wildly popular new TV show Mr. Robot as well as the new MacBook Pro commercials, giving it outrageous amounts of exposure; fulfilling the “you’ve probably heard before,” criteria. The strongest case for the long distance relationship criteria is the music video which I am not going to spoil here, but suggest you go watch…now. Beyond that, despite the direct reference to a long distance relationship in the lyrics themselves, (though a case could be made that they are implied) it is the feel of the song that evokes the feeling of being in a state of limbo. It’s not a feeling of pain exactly, but more a feeling of off centeredness. That same feeling you feel when you’re separated from the person you know you’re supposed to be with. Could I have put a more straightforward song on the list? The song wasn’t written by Darin, nor was his version the original. But since it is far and away the most popular it’s the one I’m referencing. It is somewhat singular in that the singer doesn’t seem very broken up about the situation. To be honest he seems to derive some pleasure from knowing that someone is waiting up for him, vigilantly enough to watch all the ships that go, by looking for his. #7. Elton John – Rocket Man: It really doesn’t get much more long distance than another planet. Rocket Man is an interesting little ditty. It seems to evoke such a positive response in people as well as being a karaoke go-to; but it is really quite sad. The protagonist of the song seems to lament his choice the entire time, his thoughts never wavering from his family. #8. Our Lady Peace – Somewhere Out There: If you like metaphors then boy do I have a song for you. This is a song that certainly paints a picture with its imagery. It’s one of those songs that make you feel like you’re watching a music video when you listen to it. Incidentally, it has a video and it’s nothing like I picture when I hear the song, it’s actually kind of trite, but I digress. The song itself refers to a relationship of people on seemingly different levels and the singer seems to go back and forth between wanting the object of his affection to keep soaring higher but also fall back to him. #8. Matchbox twenty – Bright Lights: Yeah, yeah, I can’t help myself. This is song is Somewhere Out There done right, but as ‘Somewhere Out There’ was probably a little more popular and these songs fill similar niches it’s not really fair to include both of them on the list. ‘Bright lights’ has none of the waffling found in ‘Somewhere Out There’. #9. Plain White T’s – Hey There Delilah: Unfortunately this list has skewed more to the rock genre than I would have liked, but this song, without question, must be included. For one thing it’s probably the song that actually fits the category best without my little qualifications. But the song in and of itself is a beautiful blend of hopefulness and poignancy. The lyrics tell of two people trying to make their dreams come true on separate paths that will hopefully converge back upon each other at some point in the future. 99% of the time that is the cause of a long distance relationship, grounding the song in reality instead of relying on metaphor. #10. Puff Daddy, Faith Evans and 112 – I’ll Be Missing You: I’m of the mind that a relationship doesn’t end with death. Very few popular songs illustrate this as effectively as ‘I’ll Be Missing You,’ coupled with the fact that this song was EVERYWHERE when it came out, I had to include it. Say what you want about Diddy and his lyrical ability/all-around talent, but it can’t be denied that the anguish he felt of the separation from his friend comes out loud and clear. There you have it. 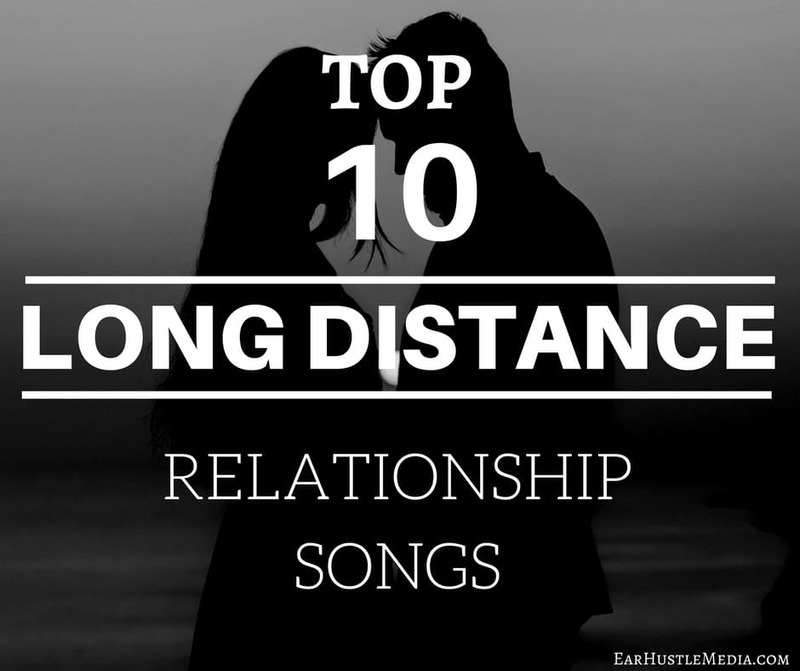 If you’re jonesing for the one you love or missing a family member, I hope you’ve found something here to dull the pain with my list of long distance relationship songs.